Focusing on integrated system supply, in-house product design and manufacturing, installation and maintenance services, airport design as well as complete project management, Cavotec offers the airport industry a unique package covering most, if not all, industry requirements. With references from airports around the world ranging from commercial and military airports, gate operations, and hangars for maintenance and repair overhaul (MRO), Cavotec has a long history in providing state-of-the-art systems coupled with close service and support to its customers, wherever they are located. 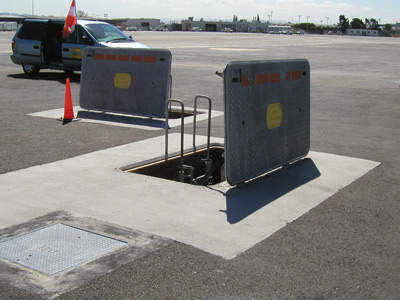 Cavotec’s airport market unit is a complete ground support equipment (GSE) integrator for the global airport sector. Several of Cavotec’s centres of excellence are involved with the airport market unit: Cavotec Dabico US and UK, Cavotec Meyerinck and Cavotec Fladung each bring their own area of specialisation and expertise to the market. 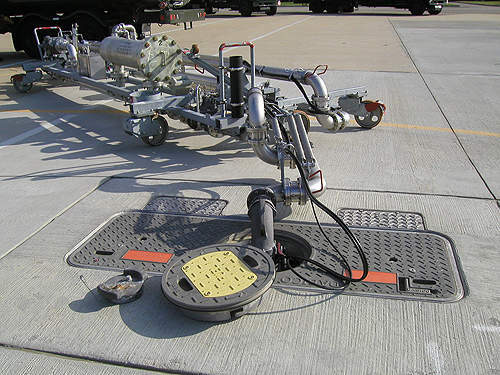 Based in the UK and the US, Cavotec Dabico produces fuel supply systems, primarily in-ground delivery units, for a wide range of commercial applications. 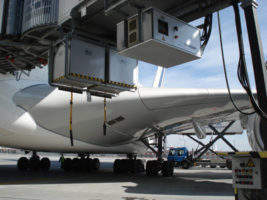 Cavotec Meyerinck is a specialist supplier of fuel and liquid delivery systems and components for airports, the food and beverage sector and the chemical and petro-chemical industries. Cavotec Fladung designs and manufactures a diverse range of advanced GSE including pop-up pits for fuel, water and power supply, tunnel systems, pre-conditioned air units (PCA/PCAir), aircraft connectors and 400Hz caddies, all to help its clients reduce tarmac congestion, improve efficiency and reduce environmental impact. The introduction of the integrated gate concept has made it easier for clients to work with Cavotec to produce complete systems, and Cavotec’s continued focus on expansion through acquisitions when deemed appropriate, and organic growth, are combining to build a strong base upon which Cavotec will increasingly become a major supplier in the industry. As announced earlier this week, our airports unit is to supply ground support equipment for the new Emirates A380 Engineering Centre at Dubai International Airport. Cavotec airport market unit is a complete ground support system designer, system integrator and product manufacturer and supplier for both the commercial and military aviation sectors. Cavotec has won contracts with a combined value of approximately €10 million, to supply ground support equipment (GSE) to Phoenix International Airport, Newark International Airport and Rome Fiumicino International Airport. Our ground support systems are playing their part in Dubai Airport's newly-opened flagship terminal: the world's first dedicated to the Airbus A380 superjumbo. Cavotec has won a multi-million euro package of orders from Japanese industrial conglomerate ShinMaywa, for integrated ground support equipment (GSE) that will be installed at Hanoi's Noi Bai International Airport and Cairo International Airport. Leading global engineering group Cavotec is to supply a complete air and electrical power solution for a United Airlines wide-body aircraft hangar at Washington Dulles International Airport, an order that follows similar successes in both the US and Asian aviation markets in recent months. 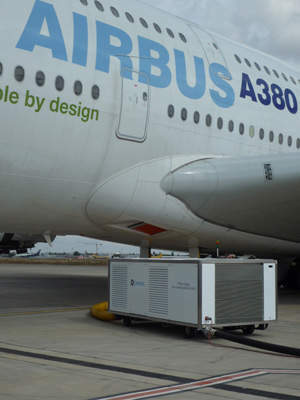 The Board of Directors of the Cavotec engineering group is pleased to announce the acquisition of aircraft ground support equipment (GSE) manufacturer Combibox Systems Scandinavia AB, which in 2011 had revenues of approximately €2 million. The acquistion made on 3 September 2012 is set to further strengthen the Group's product offering and customer base in the global airports sector. Cavotec, the global engineering group, has secured major orders for ground support and fuelling equipment at Mumbai's Chatrapati Shivaji International Airport and Delhi International Airport. 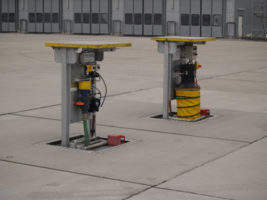 The Cavotec global engineering group has won a major order for advanced ground support equipment at Memphis International Airport in the United States, as well as a breakthrough order for electrical converter systems at Hyderabad Airport in India. The Cavotec global engineering group has won a major contract to manufacture and install 90 in-ground electrical power units and converter systems as part of a modernisation programme at St.Petersburg's Pulkovo International Airport. 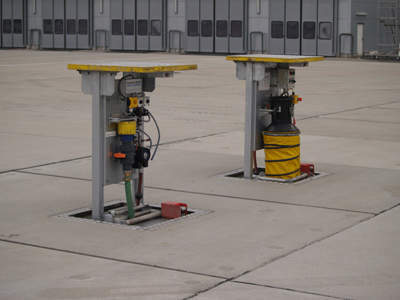 Global engineering group and airport systems integrator Cavotec has won an order to supply advanced ground support equipment for the 'Gateway to West Africa,' Ghana's Kotoka International Airport (KIA).